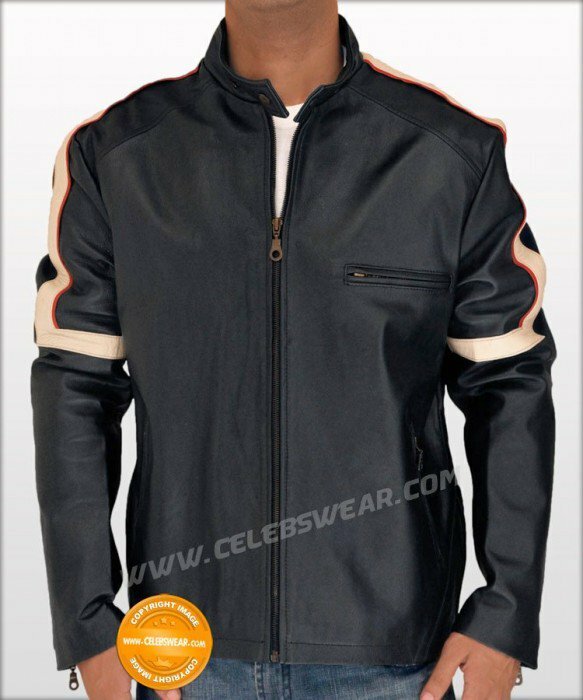 Tom Cruise as Ray Ferrier had worn this trendy motorcycle bike jacket in the movie War of the Worlds. The war of the worlds rider jacket is made with premium quality cowhide leather. Featuring front zipper closure, YKK Zippers, 3 front zipper pocket, Zipper cuffs with webbing, Collarless design with snap button, bi-swing back, inside quilted liner, Exclusive design and loaded with features.